Iran Mall is a major retail-based development located in the North-Western part of Tehran Metropolitan Area. 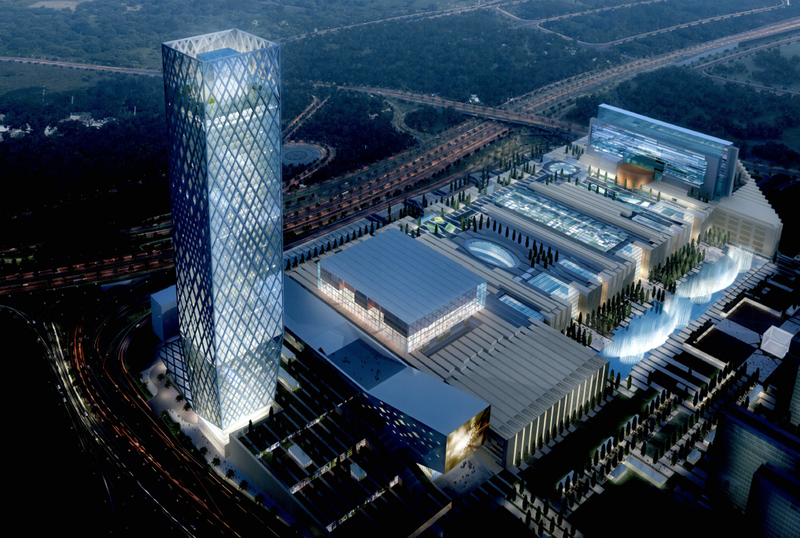 The success of the project lead to the decision of designing a new mall expansion and an office tower building, adding 320,000 sqm of Gross Floor Area to the already existing 1,200,000 sqm. This expansion, named Western Expansion, is mainly composed of retail areas, offices, sports facilities and a 2,000-seat theatre. Offices will be located in a 60-storey tower building which is supposed to be the highest Tower in Tehran. Systematica is appointed to study the overall accessibility system and internal mobility of Western expansion, including the vertical transportation system of the tower and retail components. The project requires the design of a complex system allowing for a comfortable connection among the 10-storey underground car park and the 6 floors of retail. Moreover, the office tower requires a detailed study of the building in order to provide the best circulation system to all visitor typologies (office users, office visitors, amenities customers, observation deck visitors, executive employees, etc.) designing a complex system composed of different groups of elevators serving different building sections. A complex system of vertical transportation is designed to respond to the diversified needs of all visitors of Iran Mall ffice tower and shopping centre.